Holiday retro background. 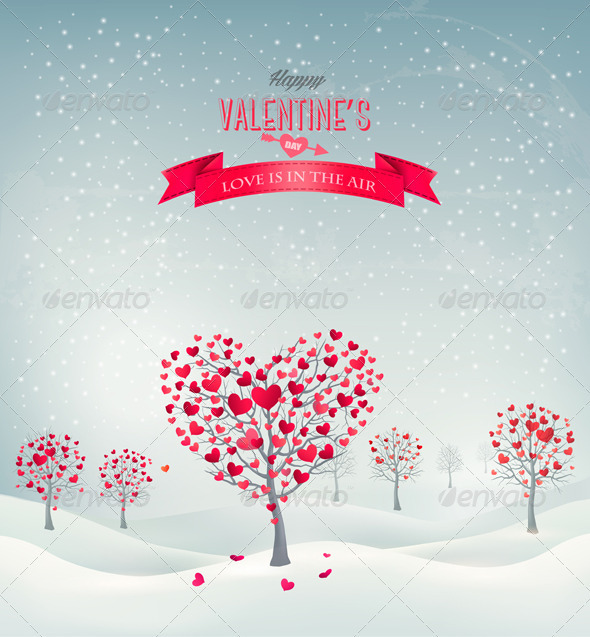 Valentine trees with heart-shaped leaves. Vector. Fully editable, vector objects separated and grouped, gradient mesh used. 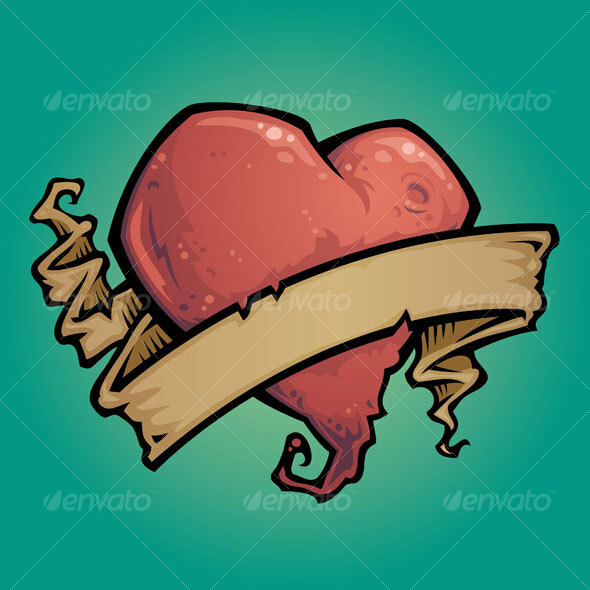 Vector drawing of a tattoo style heart with ribbon. 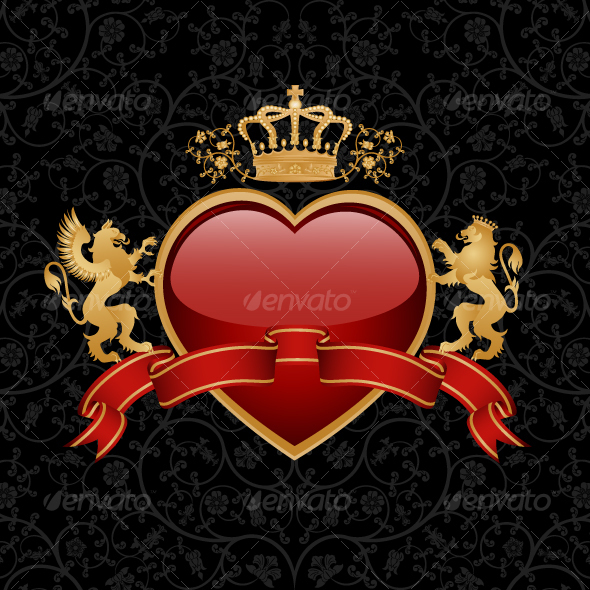 Valentine`s day set – labels, emblems and other decorative elements. 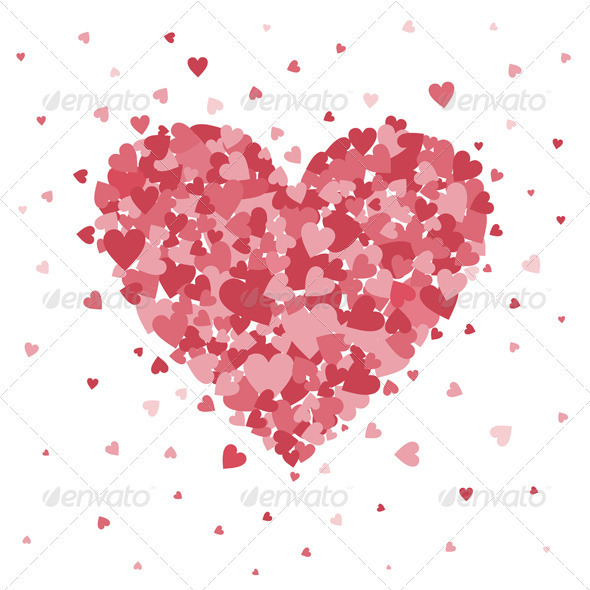 This is 100% vector Valentine`s day collection. 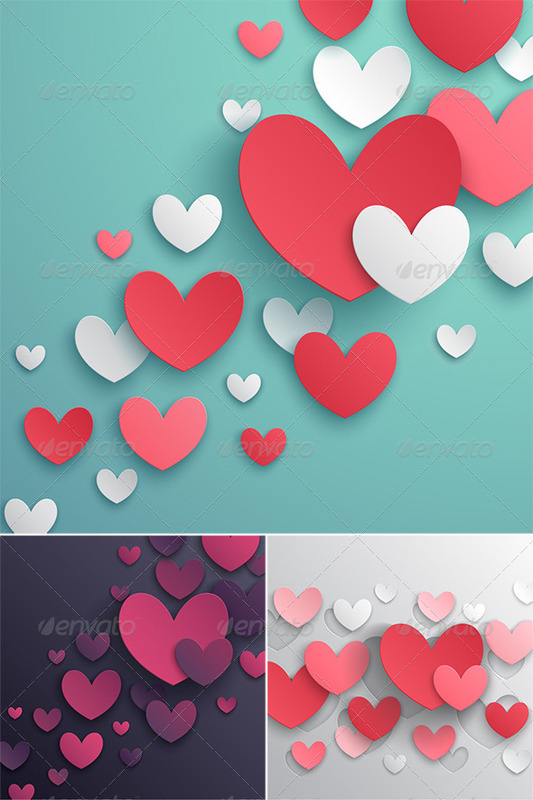 3 Valentine`s day backgrounds with paper hearts. This is 100% vector illustrations. 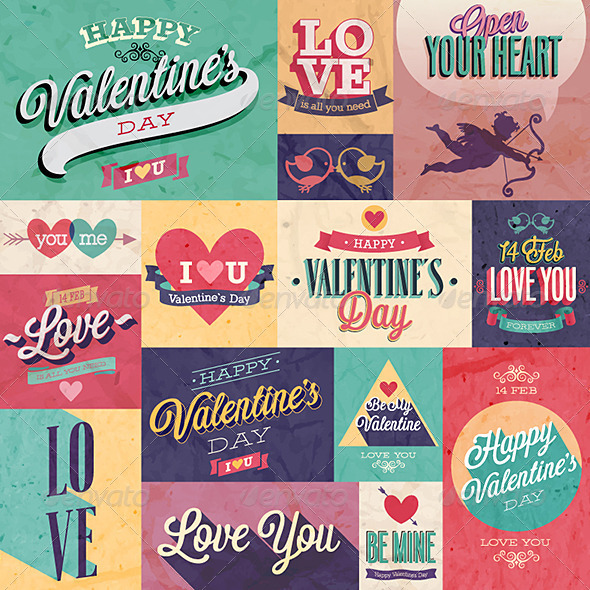 Valentine’s Day design set for poster, greeting card, flyer or what you need. 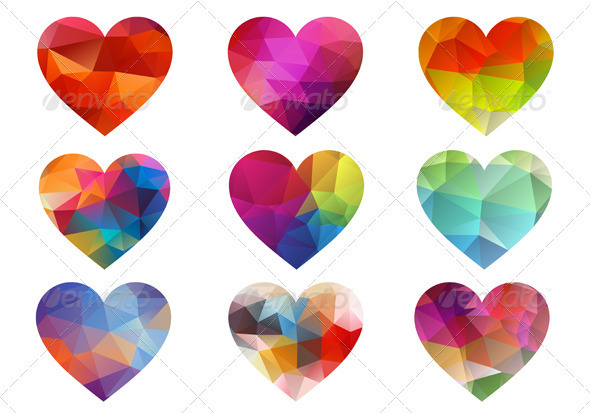 Colorful hearts with geometric triangle pattern, vector set. 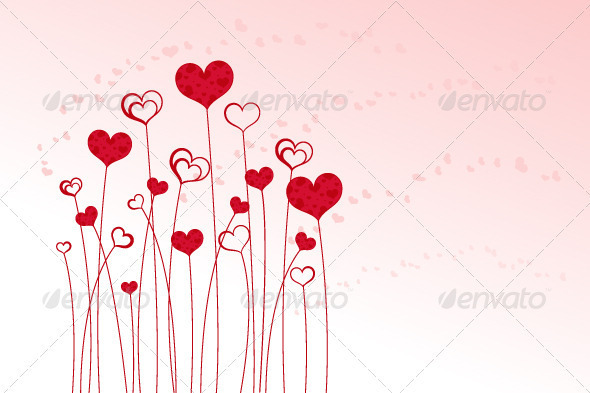 Heart flowers on pink background. 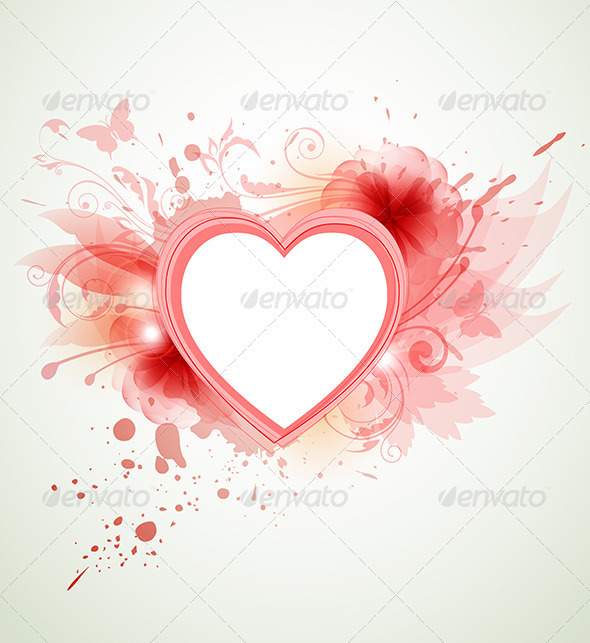 Romantic vector background with red flowers and heart.